Entertainment TV Channel / ARD is a joint organisation of Germany's regional public-service broadcasters. It was founded in 1950 in West Germany to represent the common interests of the new, decentralised, post-war broadcasting services – in particular the introduction of a joint television network. The ARD is the world's largest public broadcaster, with a budget of €6.9 billion and 22,655 employees. The budget comes primarily from the licence fees every household, every company and even every public institution like city governments are required to pay. For an ordinary household the fee is currently €17.50 per month. Households living on welfare do not have to pay the fee. 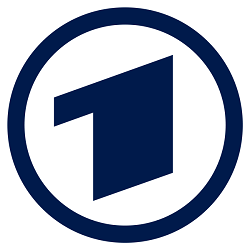 The fees are not collected directly by the ARD, but by the Beitragsservice (formerly known as Gebühreneinzugszentrale GEZ), a common organization of the ARD member broadcasters, the second public TV broadcaster ZDF, and Deutschlandradio.